In the wake of the horrific mass shooting that claimed 49 lives in New Zealand's city of Christchurch, Prime Minister Jacinda Ardern addressed a terrified population. "I can tell you one thing right now, our gun laws will change," Ardern promised the nation. The incident has highlighted the nation's gun laws and more specifically, New Zealand's current regulations around owning a semiautomatic military-style weapon. According to Ms Ardern, Friday's gunman had held a gun license from 2017 and used two semiautomatic weapons, two shotguns, and a lever-action firearm in the shooting. Counter-terrorism expert Greg Barton, from Deakin University, told ABC News the gunman's weapon resembled an AR-15. "The attacker was using a couple of guns, one was a shotgun, one was an AR-15 - that's the so-called civilian equivalent of the M-16. It's an assault rifle," Mr Barton said. "We haven't seen these assault weapons used in Australia and New Zealand." His choice of weapon is telling. In fact, the same assault rifle has been used in several US massacres, including the Las Vegas mass shooting that killed 58 people in 2017. Despite having relatively relaxed gun laws, fatalities by firearms have remained low in New Zealand. Statistics show that deaths caused by firearms stayed in the single digits between 2007 and 2016, except in 2009 when 11 gun deaths were recorded by police. 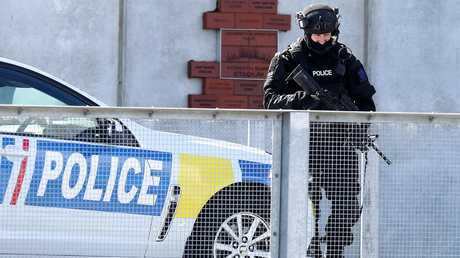 Friday's massacre is the country's deadliest since 1990, when 13 people were gunned down in the South Island town of Aramoana after David Gray went on a shooting rampage armed with two military style semiautomatic rifles. New Zealand tightened its gun laws following the attack, but never adopted the strictest regulations. The nation's high gun ownership rates don't match their overall crime rates, which are relatively low. Police reported a rate of seven deaths for every one million people from 2017-2018, and the country's murder rate fell to a 40-year low. In comparison to most other Western countries, New Zealand's gun laws are quite relaxed at the moment. According to GunPolicy.org, Australia has some of the "tightest gun control policies in the Pacific" and internationally, whereas "New Zealand is at the opposite end of the spectrum with some of the most permissive gun policies in the region". In fact, New Zealand and the US are only two nations that don't possess a national gun register. While assault-style semiautomatic rifles and other types of restricted firearms do have to be registered, common rifles and shotguns do not. The Sydney Morning Herald reports New Zealand's gun per capita rate to be about one for every three people. That's an estimated 1.5 million firearms in New Zealand, where the population currently stands at 4.9 million. Given that the majority of firearms are unregistered, police don't know exactly how many firearms are in the country. Regardless of how the firearms are obtained, it's still illegal in New Zealand to openly carry a firearm in plain view in a public space and to carry a concealed firearm in a public space. 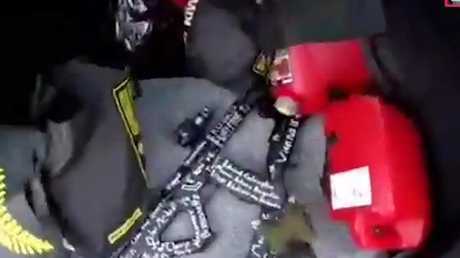 In this frame from video that was live-streamed yesterday, Brenton Tarrant is seen reaching for these guns in the back of his car before the mosque shootings in Christchurch, New Zealand. 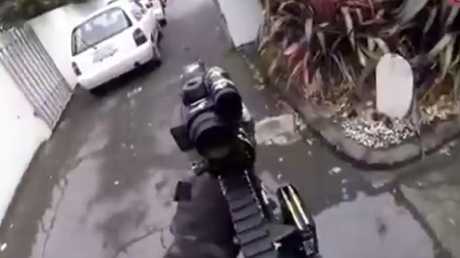 This screen grab of Brenton Tarrant wielding military-style weapons as he shoots through a Christchurch mosque. While the styles of weapons used by the Christchurch terrorist are more regulated by law, other types of rifles could be modified into a military-style semiautomatic weapon with the addition of larger-capacity magazines and other unregulated parts. There have also been calls to arm New Zealand police, who don't routinely carry firearms and must rely on backup from specialist squads. 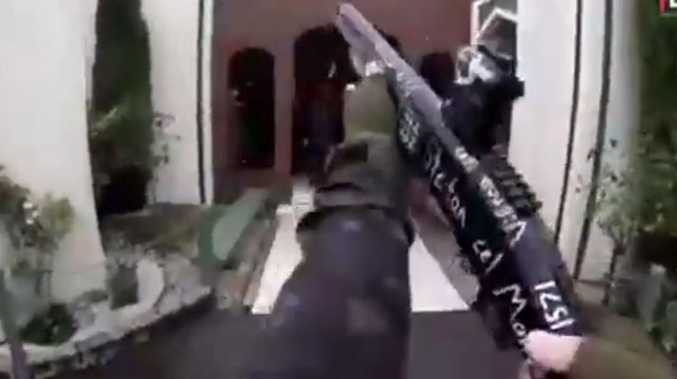 After watching the video of alleged mosque gunman Brenton Tarrant, a former armed offenders' unit member told a New Zealand news outlet that the man's weapons could be purchased with "a normal firearms license", despite being similar to what police and military use. "He would have been shooting somewhere practising," said the 16-year police veteran, who wished to remain unidentified. "It's not the first time he's ever fired those types of weapons. He's fired them before." 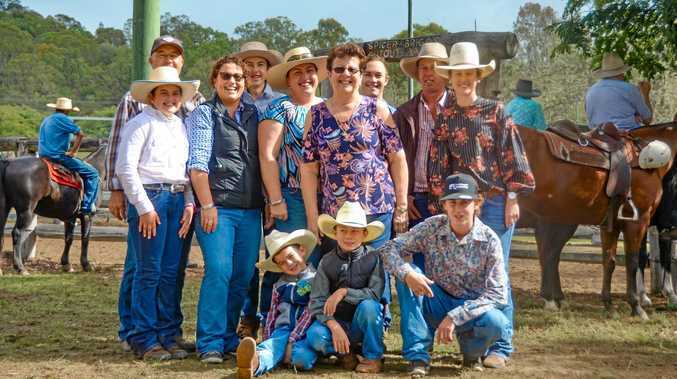 A spokesman for the Bruce Rifle Club, near Milton, confirmed Tarrant was a club member and practised shooting at its range. "We are all … a bit stunned and shocked," the spokesman toldThe Otago Daily Times. He added that Tarrant seemed "as normal as anyone else" and had "certainly" never mentioned anything about his beliefs about Muslims.